Seniors over the age of 65 make up the largest population of individuals affected by cancer. More than 50 percent of cancers are diagnosed in the elderly, which means the aging Baby Boomer generation may face an alarming epidemic of this deadly disease. Cancer is the second leading cause of death in the United States, with an estimated 550,000 Americans dying every year. The encouraging news is that recent years have seen a small decline in the number of cancer deaths. According to Dr. Ahmedin Jemal, author of A Cancer Journal for Clinicians, the decrease “largely reflects improvements in prevention, early detection, and treatment.” More cancer patients than ever before are receiving care at home, rather than in a hospital or facility. Many patients attribute this as one of the reasons for their success in coping with cancer. A fully functional homecare system, like that available from ClearCare, further helps patients fight cancer at home. Using a comprehensive homecare system allows caregivers and families to track each patient’s care on a daily basis. 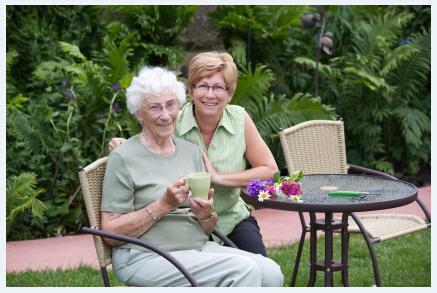 Cancer patients require careful monitoring, which makes homecare software an invaluable tool. Families can easily coordinate care between the patient’s team of doctors, nurses, social workers, physical therapists, and caregivers. Caregivers can use homecare software to keep track of doctor appointments, when medicines should be administered, and what daily activities the patient needs assistance with. This takes much of the burden off family members, who are then able to offer companionship and comfort to the cancer patient. It’s important for cancer patients and their families to be proactive. This means taking charge of the disease, and planning for potential crises. Here again, a reliable homecare system can help. Your homecare agency will keep detailed records of the patient’s health, as well as contact information for all family members. Caregivers can easily get in touch with the patient’s loved ones in the event of an emergency. Families can rest assured that caregivers who use a robust homecare software like ClearCare will be ready for every potential circumstance. Research shows that seniors who live at home maintain a level of independence and fare much better than those placed in a care facility. With the assistance of a homecare system, care at home is easier than ever before.